Driving in India is like a lesson of anarchism. People get unruly on our heavily congested roads. Traffic is everywhere, and everyone wants to be the first in getting to his or her home. Each one of us is the king of the road and like to make our rules when it comes to driving. Below are the most prevalent ones that we have formed over the time but should strictly AVOID! Road Accidents are frequent and mostly solved mutually by the either parties. Usually, the one with the cheaper vehicle wins. If a Mercedes hits an auto rickshaw, it is most likely the fault of the richer brat who must be high on drugs or alcohol. It is perfectly all right to jump across three lanes. What can you do when you suddenly remember that you need to take a right turn on the next signal? If at a traffic signal at an intersection, the moment the green light pops up, you need to get going or else expect the person behind you to overtake you. If going on the wrong side saves you even the minutest of the distance, then it is permissible to do it. Especially auto-rickshaws happily do this. There are absolutely no rules for two-wheeler drivers. They can overtake or bypass you from wherever they want. They drive everywhere on the road, pavements or even on people. 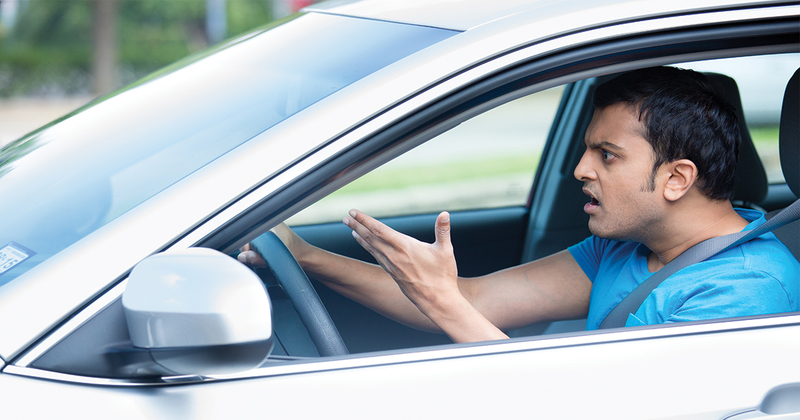 If other drivers on the road get on your nerves, abuse them with the dirtiest words, you can find. One has to pray honestly drive safely to their respective destinations. Such are the conditions on the Indian roads. Reckless driving with too much disorder is the actual characteristics of Indian roads. So what to do to stay safe on the road? If you want to have complete peace of mind and drive safe, opt for a good insurance policy. Of course, it is mandatory to have at least a third party liability insurance plan as per the Indian law. However, given the adverse conditions on the roads now, it is wise to go for comprehensive insurance policies. Comprehensive insurance policies not only protect you against third party liability but also provides own damage coverage. Avail comprehensive coverage against natural and man-made calamities that can occur and opt for the complete protection against unforeseen damages. After all, your life and your vehicle are dear to you the most, and comprehensive insurance plan provides you with the optimal coverage. Don’t burn a hole in your wallet to undertake massive repairs or loss due to unpredictable damages that occur without your fault. If even for some reason, you are at fault and get yourself involved in an accident, the comprehensive car insurance policy will cover for damages.